As I walk learning every day about life and choices, it occurred to me that the reasons keeping us all here, even after securing our quits, are LOVE AND BELONGING. 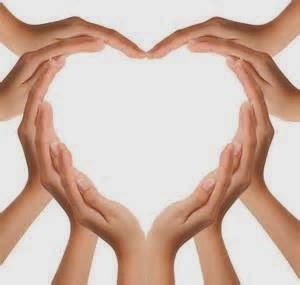 We love our peers, we are all one, we belong together. Not as former smokers, but as human beings. We crave the love dispensed here unconditionally. And we crave sharing that love. 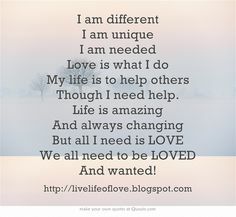 I do, I am here because I am loved, and I am here because I want to give love, to newbies, to friends I made here, to complete strangers who are wiling to take it. And even if I don't understand some of the references to past social behaviors, or food, or cars, or kid's games, I still feel I belong. Because I learn it, I ask questions and someone will answer me. And I am grateful for being here in this loving environment. It's great belonging and everybody belongs. Daniela-3-11-2016 and EX is sunshine for us"
Feelin' the love. Everyone's support means so much in times like these! Because here at EX we are all here for each other!!! Someone at Ex always understands . Thank you. Isn't that astute and so true. Me too what you said. Thank you Daniela for this awesome post I ditto everything you said actually I'll double ditto everything you said, we're all on this quit journey together whether we're on day one or day one thousand or two thousand it really doesn't matter because we're all here for each other we're friends and Fellow Exers and then we've become EXtended family XO which is totally wonderful. At long last a good crave! Great blog Daniela. Thanks-yes i love God for blessing ME with this recovery family-NEVER TAKE ANOTHER PUFF EVER IN UNITY-WE -US- OUR-TOGETHER in MY Lord Jesus name amen- please take what HELPS and leave the rest -thank you. Thank you Karen, I have started meditating a while ago (maybe 3-4 years), but I already saved the link on my computer and my phone, and intend to practice it for the 8 weeks recommended. Much appreciated! 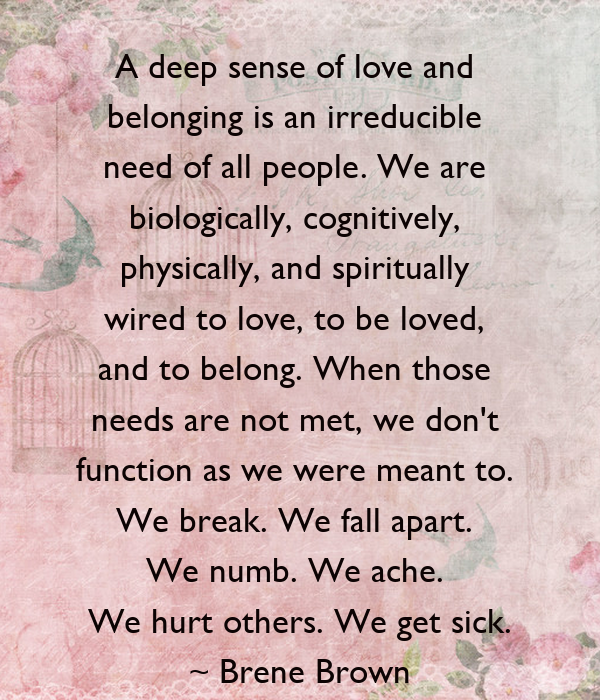 The love and need to belong, might just be something a traveling soul needs, to fell anchored and accepted. One can only carry the weight of loneliness for a while, if you stretch that over certain limits, you might end up with a broken soul, beyond repair. maybe, but i dont think that souls are ever beyond repair. Meditation is a life saver isn't it? Beautiful blog for this morning. Daniela-3-11-2016 This blog is beautiful and expresses the feelings of so many people here as evidenced by the amazing comments. I think you are right...I think that this is a "safe" place for many people and I think that is a POSITIVE thing. Thanks for all of the love and thought you put into this post.